Favorite Flower: Purple Applause rose. Favorite Colors: Purple, emerald green, red. Collections: Purple things, preserved flowers, antique goods. 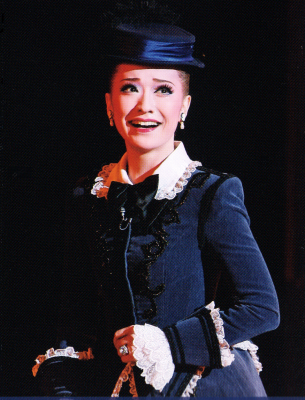 Favorite Role: Koben from Chikamatsu, Sarah Walters from Victorian Jazz. Member of the 8th Group of Sky Fairies and the 3rd group of Sky Navigators. † Due to poor health, she was announced absent from Tale of Genji starting from opening day of the Tokyo performance. 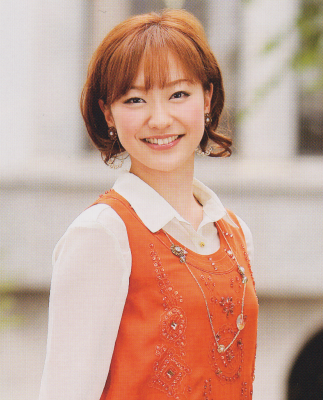 ‡ Due to poor health, Kayou Kirari was absent from Phantom (2011) from June 24th - 25th (the first two days of the run). Tsukino Himeka covered her role as Sorelli, and Ayaka took Himeka's place in the role of Fleur. Created by caithion. Last Modification: Tuesday 25 of December, 2018 20:23:48 PST by caithion.